For use in alleyways, barn doors or anywhere you can attach it horizontally and the animal can pass under. Oiler is 30″ total in length with a 22″ barrel that holds pesticide of your choice. Long rayon cords allow the pesticide to drag over the face, back and sides of the animal. Constructed out of metal to provide some weight and durability for large animal use. Comes with chains attached for hanging. 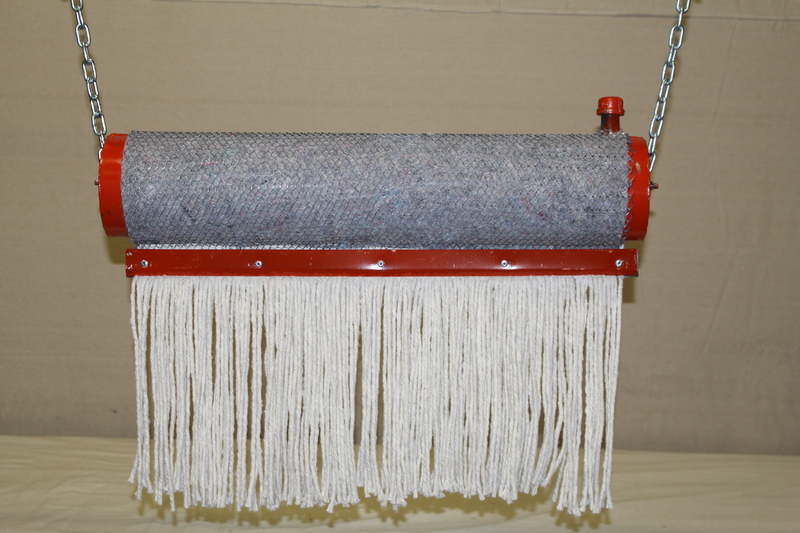 Rayon mop is long lasting but replacements (Item #40307) are available.